After preparing a bunch of smoothies here for you all I finally have a green smoothie! 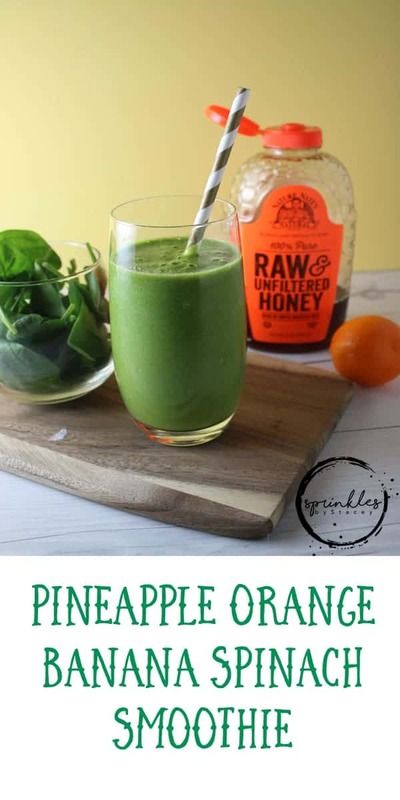 I actually made this pineapple orange banana spinach smoothie a few years ago when my oldest was around 2 years old and she really enjoyed it! I was trying to sneak in veggies into her foods. for yourself, family, or kids is when you leftovers you can freeze the smoothie into popsicles! If you don’t have popsicle molds, you can use ice cube trays with either toothpicks or cut up straws and then you have fresh popsicles! I personally like to use cut up straws (paper is great too) because it gives the kids a sturdier handle. I don’t know about your kids but my kids can’t finish their cups of smoothies so I really like to do this…save food and money and it turns into a fun treat for them later. Now at the smoothie shop (my first job), we used turbinado sugar (aka sugar in the raw), vanilla extract, and honey with all of our smoothies. However, now I don’t use the sugar or vanilla, only the honey. 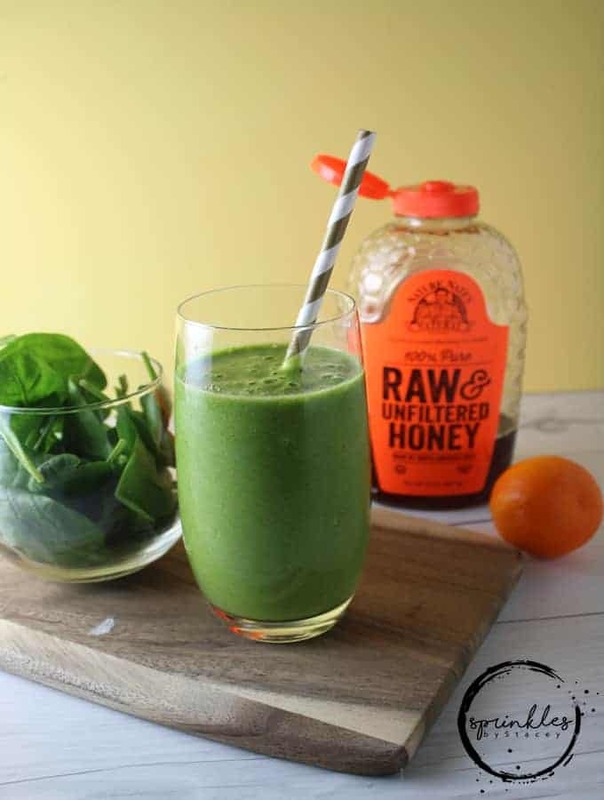 Sweet pineapple and orange are blended together with a creamy banana with the brightness of fresh spinach and raw honey! Thank you so much for sharing the nutritional info on this smoothie!